We at Kratom Cabin can surely make you feel like you’re home. 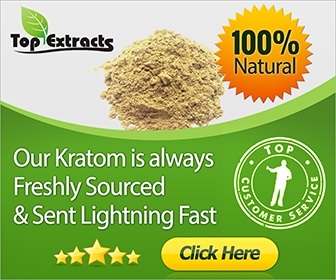 We make sure that all your Kratom needs are catered to, from the necessary details that you need to know about Kratom to unbiased Kratom brand and seller reviews. We understand how crucial it is for every new and existing viewer to be provided with consistent information when it comes to Kratom because any misleading information can definitely lead them to something worst that could put their health at risk. Moreover, we want to avoid such cases where our users’ health is compromised. This is why our solid team is working together in reviewing all available resources to make sure the published articles are accurate enough for use. Most viewers also depend on Kratom sources to decide which among the numerous Kratom brands and vendors are the most unfailing. Our team makes sure that brand and vendor reviews are fairly published. We assure transparency to all our viewers; hence, our team does their best in reviewing available and accurate resources to provide unbiased feedback, regardless if it’s positive or a negative. Viewers also prefer to navigate a website interface that’s not complicated. Having a too complicated interface tends to bore viewers instantly. We guarantee all our viewers a user-friendly website interface to provide further convenience. We want to uphold a solid communication with every viewer which is why we prefer to maintain an all-in-one website that will cater to all their concerns. Aside from keeping an organized blog, we allotted a page for all your concerns about Kratom. Check our simple yet functional website at kratomcabin.com for our up-to-date featured topics. If you have further concerns about Kratom, you can send us an inquiry by filling out the contact form. Our team will certainly get back to your concern the soonest. If you have some concerns about our Kratom blog contents, you can send your concerns at editor@kratomcabin.com. Moreover, if you want to inquire for promotional opportunities, you can reach out to us at advertising@kratomcabin.com, and we’ll be more than happy to provide you with assistance.